Canines for Coffee is the first of its kind. A- Pop up Pup Truck Series that gives back 100%. 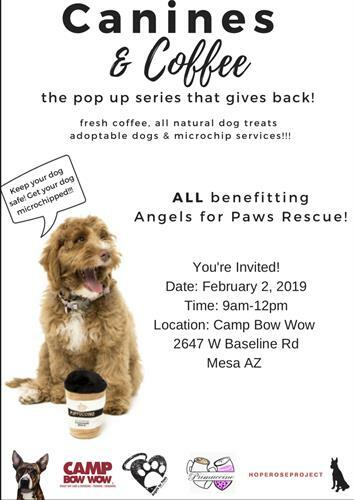 We will have adoptable dogs, microchipping ($35) and custom pup treats made by Dogs Eating Cake, and coffee. Come and see Camp Bow Wow's newest location- under construction- coming soon... Enter to win pup swag and play games. Admission is FREE, asking for donations.